Australia’s first Boycott Brunei rally will be held from 1pm-2pm today (Saturday, 13 April) in Brisbane’s City Botanic Gardens opposite the Brunei-owned Royal on the Park Hotel. Confirmed speakers include Shelley Argent OAM national spokesperson for PFLAG, Candidate for Brisbane and former Senator for Queensland Andrew Bartlett, Brisbane community activist Bel Cox, LGBTI activist Roz Dickson, Labor senator for Queensland Claire Moore and Brisbane lawyer and equality advocate Stephen Page. Meanwhile, a new petition calling for Australia to break diplomatic ties with Brunei and move to suspend it from the Commonwealth was launched today. The country has been condemned for it’s recently introduced harsh laws that would see people convicted of homosexuality being stoned to death. 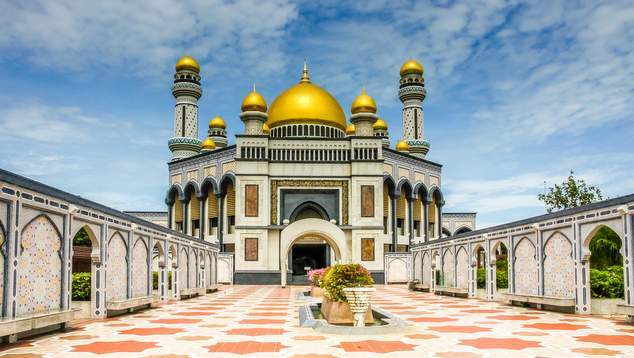 Earlier this week the Queensland government announced it would be scrapping a plan with Royal Brunei Airlines to have direct flights from Brisbane to Brunei. We suspended negotiations with Royal Brunei as soon as we learnt about changes to the law, allowing the persecution of Brunei’s LGBTIQ community,” Queensland Tourism Minister Kate Jones said. Protests over the new laws have occurred around the world, often at expensive hotels owned by the Sultan of Brunei. The Dorchester Hotel in London has been the focus of a series of rallies, while celebrities have vowed to stop staying at the company’s other properties including the Bel Air and Beverly Hill Hotel.